Guys, I am MANIC OVER THIS LATEST PURCHASE. I mean, I haven’t stopped playing with it. I don’t understand how I lived my life prior to it entering my home. Do you understand what I am saying? Recently, I shared with you all the wonderful smart technology and simple solutions coming from Sears and their Connected Solutions online as well as new brick and mortar stores. From wireless, streaming entertainment, media and devices; to smart thermostats, home security and wifi baby monitors; to fitness trackers, smart watches and wearables, Sears Connected Solutions has the best product selection around for you, your techie cousin, or your frugal aunt that wants to save on heating this winter. Plus, the trained experts at Sears can simplify installation, provide tech support or offer repair and maintenance if needed. Plus…it’s so compact and looks great!! Well, I decided to take them up on that once again and pick up a new smart-tech goodie for my home with the hopes of simplifying my and my family’s lives. I think I’ve hit the jackpot!! 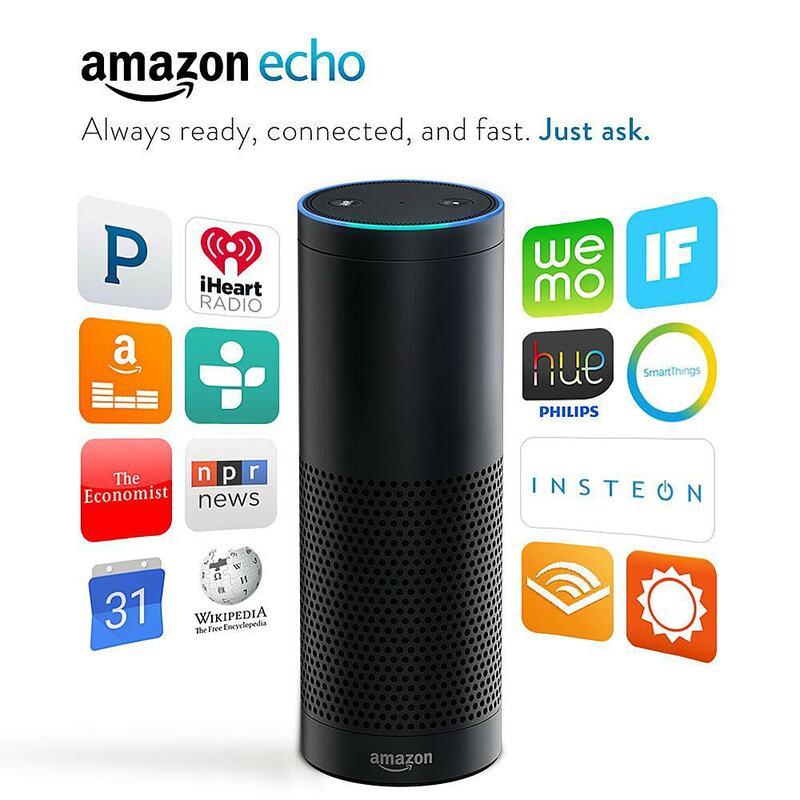 Say “Hello Alexa” to the Amazon Echo – just one of Sears Connected Solutions that’s bringing the house and out lives into a much more convenient and smarter place. WHAT?!!! YES it’s true. 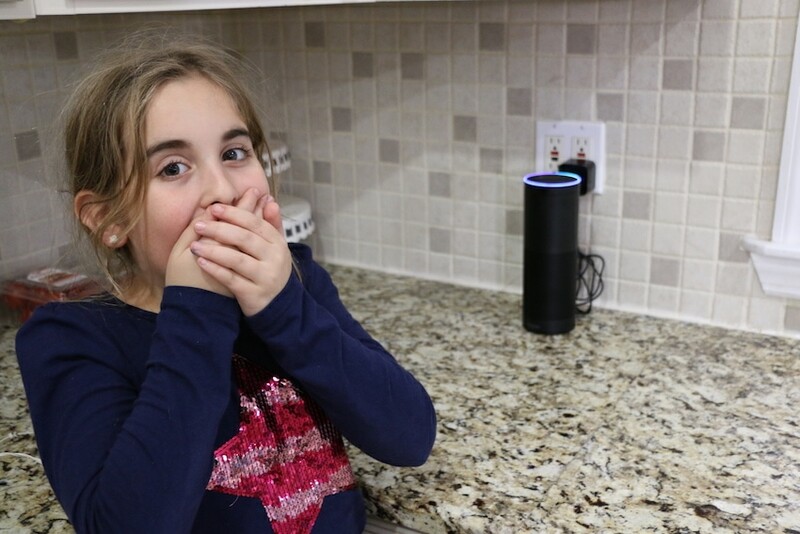 I videos my first few seconds trying out Alexa and she is just so amazing. Once I turned off the camera, the kids and I then spent another hour testing her out. We set up Amazon Prime Music playlists, bought some audio books on Audible.com and even connected my Google Calendar. YES — you can ask Alexa to tell you about your schedule and SHE WILL READ IT TO YOU!!!!!!! Ah-mazing. It does so much yet it’s so simply to use, it’s crazy. Simply take it out of the box, plug it in, download the app and connect to your wi-fi and boom, you’re off and running. Once she’s set up, paired, and plugged in, she’s always listening to see if you need anything. Just make sure you begin with ‘Alexa’ and you’re good to go with an immediate response coming. Don’t you wish your kids and husband were like that, LOL? For some fun… ask her how heavy the Earth is. We ask her this over and over again because the kids can’t get over how long it takes her to answer. We could sit there for hours, literally. It’s amazing. But it’s so great. It’s so easy, it’s so convenient, and it’s so smart. Soon we will pick up even more devices from Sears Connected Solutions so they can be hooked up to the Echo. We will really have an amazing, smart, connected home to grow in. You feel smarter and more connected because of it. It’s like you can see the future, and it is amazing. Seriously, do you know how cool it is to just be sitting on your couch or at your desk and say “Alexa, when are the NY Giants playing their next game” and have the answer in seconds? It’s wild. What would you do to improve your home? 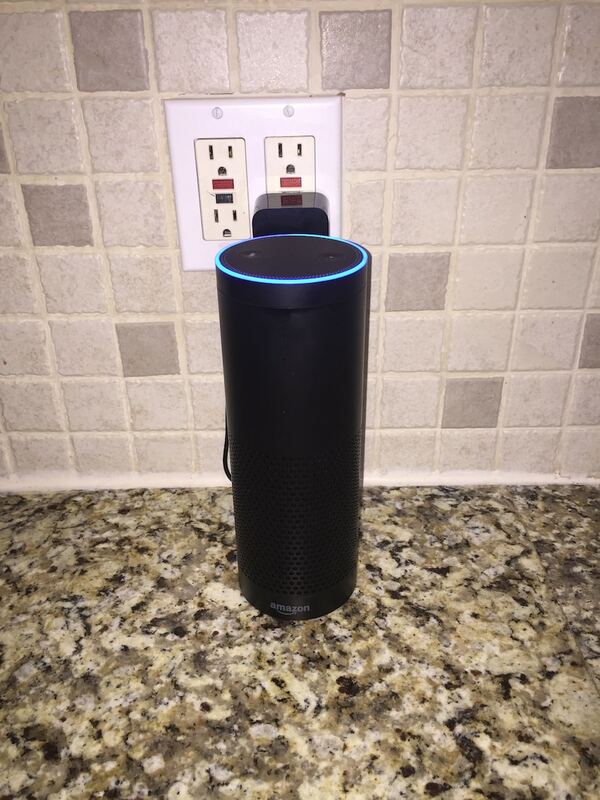 How would you use the Amazon Echo? I’d love to know your thoughts, suggestions, and experiences!! Ready to try to win $100? Use the form below and good luck!! I am so pleased to partner with Sears Connected Solutions. All thoughts and opinions are 100% mine..